The Linked orders (Take Profit and Stop Loss) for open positions are displayed in this table particularly: such a position is displayed and orders TP and SL in it. 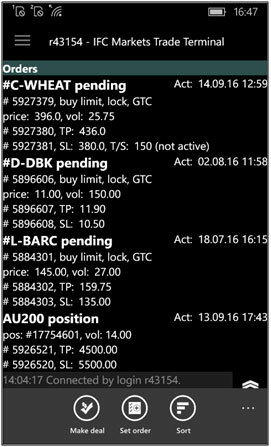 For example, "AU200 position" and 2 orders TP and SL. 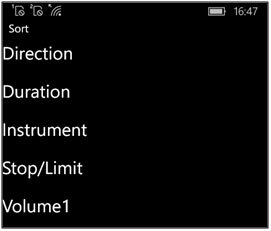 The assortment can be performed by five features: order direction, duration, instrument, Stop/Limit linked orders and volume.